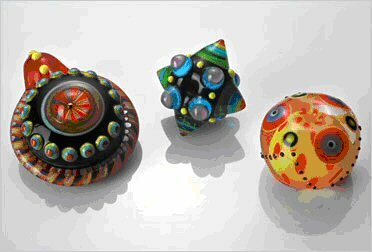 Dustin began making beads in 1996 at the age of 15. After a chance introduction to lampworking by a friend Dustin's long time fascination with beads had found its outlet. Just weeks after his brief introduction to the world of hot glass Dustin had his own studio setup and was exploring the possibilities of the medium. 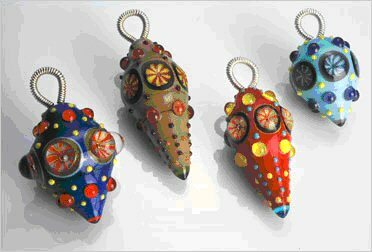 Dustin's love of ancient beads and his fascination with the intricate dot patterns found on beads from the "Warring States" period of China led him to the workshops of fellow Arkansans and master beadmakers Tom and Sage Holland. On the 2,000-acre wildlife preserve of Meadow Creek in rural Fox, Arkansas Dustin discovered the rich possibilities of hot glass. These workshops have proved to be a constant source of inspiration to which Dustin returns as often as possible to spend time with his friends and mentors. Dustin's precise control and unique sense of color quickly led to the discovery of his own voice in glass. 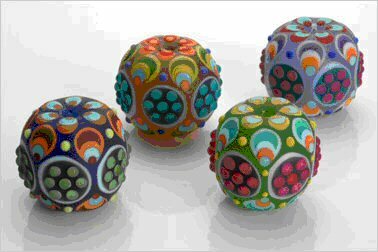 Dustin's work has been noted for its precise technical execution and its modern interpretation of ancient beads. In 2003 Dustin began teaching and sharing his skills and techniques with interested beadmakers across the United States. Today Dustin continues to pursue his unique style and his idea of perfection in the medium of hot glass.